Jason Edwards, an accomplished University Place mountain guide, reached the 14,410-foot summit of Mount Rainier for the 300th time Wednesday morning. He is the sixth person to reach this milestone. Number of people he's guided to the summit, including the International Mountain Guides clients he led Wednesday: More than 2,500. IMG Directors George Dunn and Phil Ershler on the summit of Rainier on the occasion of Ershler's 400th summit. Dunn holds the record with 495 summits. Number of times he's taken only one day to climb the mountain: 25. Miles covered in 300 climbs: 5,400. Elevation gained: Approximately 2.7 million feet. Edwards, 47, planned to touch the summit for the 300th time last summer, but an injury postponed the plan.He reached the summit Wednesday via the Emmons Glacier. He was to spend Wednesday night at Camp Shurman and was unavailable for comment. Others with 300 summits: Paul Maier of Ashford and Brent Okita of Enumclaw got their 300th summit last year, said Rainier Mountaineering Inc. co-owner Peter Whittaker. 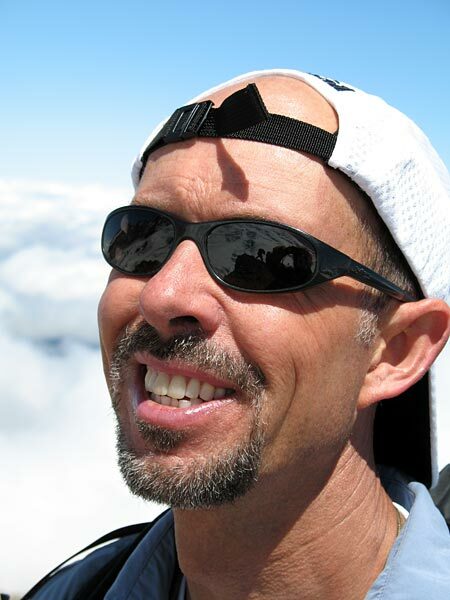 Craig Van Hoy, originally of Tacoma, has more than 350 summits. Phil Ershler and George Dunn have more than 400. 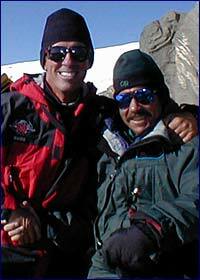 Dunn holds the record with 495 summits and counting.